Cognitive Computing is an evolving technology that – although in its infancy – has the potential to revolutionize all industries, by redefining how work gets done, and by augmenting human capabilities. 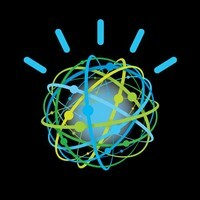 In a general sense, cognitive systems – with IBM Watson at the forefront of this new era – combine natural language processing, machine learning, and real-time computing power to process vast amounts of data – structured and unstructured – to provide answers to a specific request. These systems are very different from traditional systems that are programmed based on rules and logic. They enable people to create value finding insights in volumes of data, while mimicking cognitive elements of human expertise. They “learn” about a specific domain, develop hypothesis, evaluate those hypothesis, and choose the best option. They do this at massive speed and scale. So how does a cognitive system work? 2. Once a system is trained, it will have the ability to form hypothesis, make considered arguments and prioritize recommendations to help humans make better decisions. Cognitive systems are probabilistic, and they generate responses according to levels of confidence. They can also show the evidence for the responses—what data there is to back up the answer and the confidence score. If we think about the jeopardy scenario, you probably noticed on the video above that the top 3 options together with their confidence score were displayed on the screen. Decisions can then be made based on those confidence scores to select the best option. In the oncology example, the ability by a doctor to look at all the evidence the system used, and at the collection of hypothesis that could potentially include some that the doctor had not considered before, is extremely valuable. 3. Cognitive systems ingest and accumulate data insights from every interaction. The confidence levels it provides are subject to change when subject matter experts grade the responses since the system is not programmed but trained by experts who enhance, scale and accelerate their expertise. So what are the 3 things to remember about cognitive systems? They are trained, not programmed, they provide probabilistic responses with confidence levels instead of exact answers, and can get better overtime as experts enhance, scale and accelerate their expertise. This entry was posted in Cognitive and tagged what is cognitive, what is cognitive computing. Bookmark the permalink.